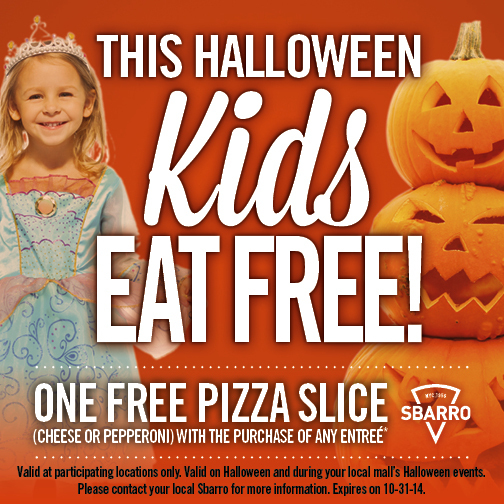 This Halloween, Sbarro is offering one FREE Slice of Cheese or Pepperoni Pizza to any child dressed in costume, with purchase of one adult entree. This offer is valid during your local mall’s Halloween events, and also on Halloween day (10/31/14). Find a Sbarro location near you here. Find more Halloween Recipes, Tips and Deals. Find more Restaurant Coupons and Deals.